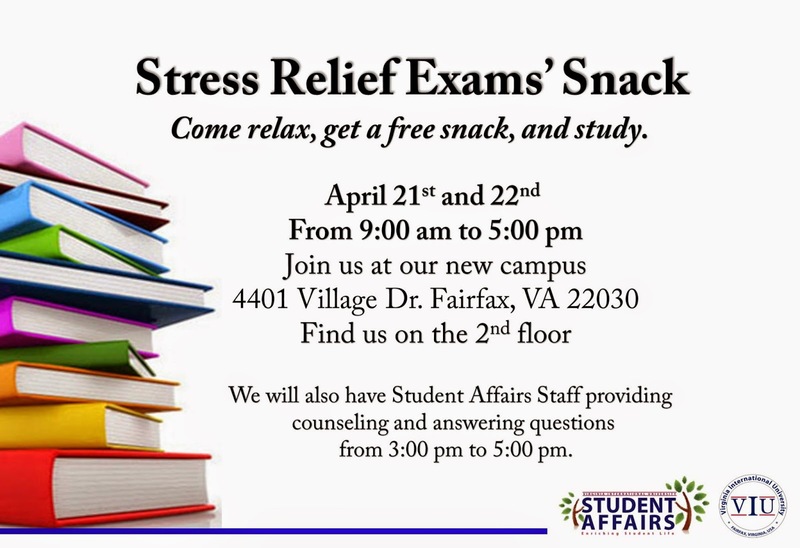 We are proud to introduce the Stress Relief Exams’ Snack for this semester.This is a place where you can relax, get a free snack and study with your friends. We will be at our new campus this April 21st and 22nd from 9:00 am to 5:00 pm each day. We will be located on the second floor. Don’t miss out on this great experience.